Fast & Furious is the action-packed global film franchise built on speed, pulse-pounding stunts, and supercharged cars. 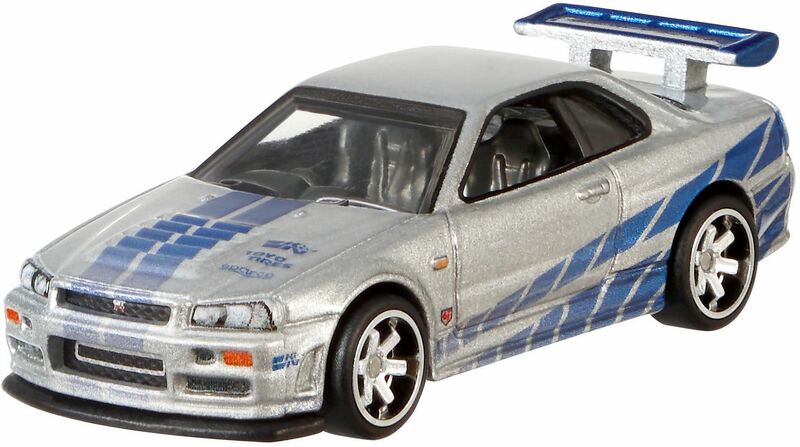 The Fast & Furious die-cast singles collection includes new and unique premium collectible vehicles that let kids and fans recreate favorite scenes from the films. 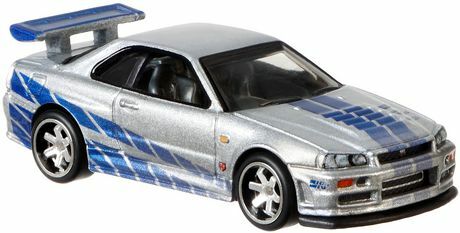 Each authentic die-cast model boasts exciting colors and eye-catching design. Details and graphics are stylish and true to the Fast & Furious franchise. Perfect for kids, collectors, car enthusiasts and Fast & Furious fans! Each sold separately, subject to availability. Colors and decorations may vary. • ​Each supercharged 1:64 scale die-cast vehicle is ready for action right out of the pack! • ​Fire up their need for speed and competition with this iconic collection! • ​Fans of street racing, muscle cars, trucks, tanks, and followers of the Fast & Furious phenomenon are going to want to collect them all!